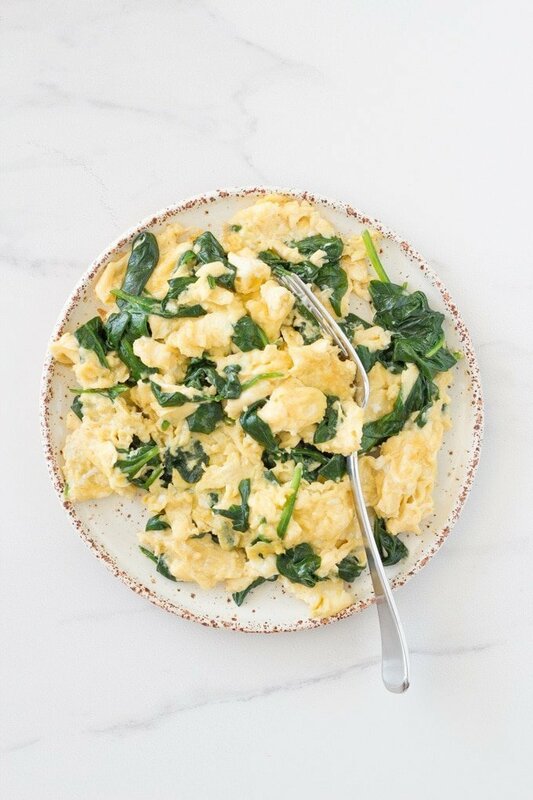 Super easy spinach scrambled eggs is one of my favourite go-to breakfast recipes. 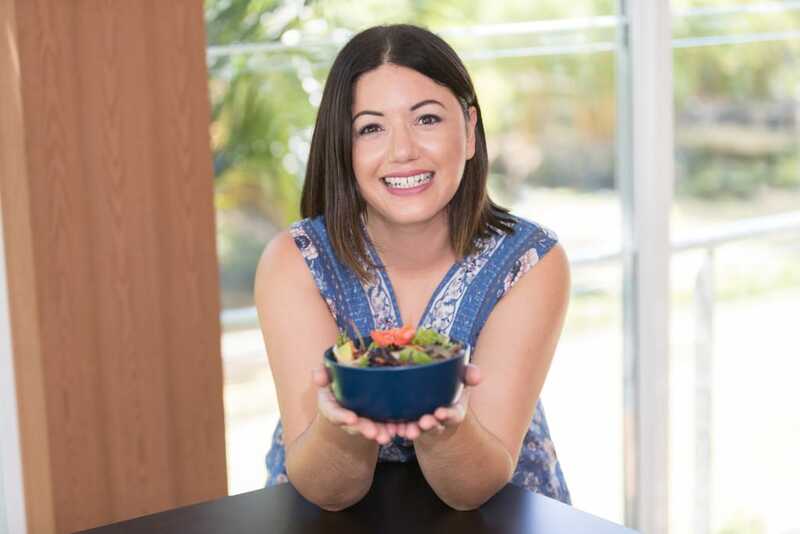 It is keto and low carb friendly and only takes a few minutes to make. I know that you are going to love this breakfast! Especially if you love eggs! 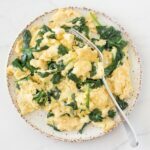 I have been making these spinach scrambled eggs for ages now and only just thought that I should share the recipe with you. 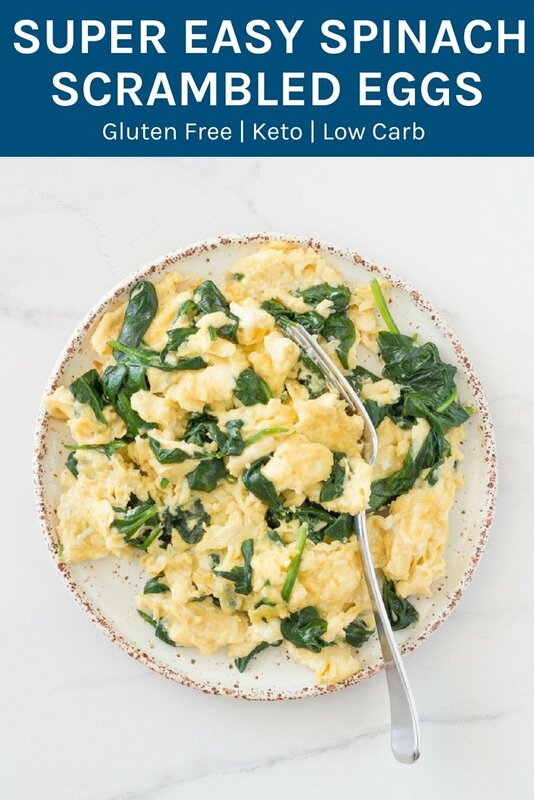 I am currently attempting to follow a keto lifestyle and this meal is pretty much what I eat most of the time for breakfast or brunch/lunch if I am fasting. It is such a simple breakfast to make with only 4 ingredients, but the flavour is amazing. So the 4 ingredients are eggs (of course), spinach (obviously), grass-fed butter and herbamare seasoning (but you could substitute with another seasoning or even salt and pepper). I seriously should be an ambassador for Herbamare. I love the stuff so much! I use it to season potatoes, chicken, savoury breakfast dishes. Pretty much everything that requires a savoury seasoning. You can buy from most major supermarkets as well as your health food shops or online I assume. 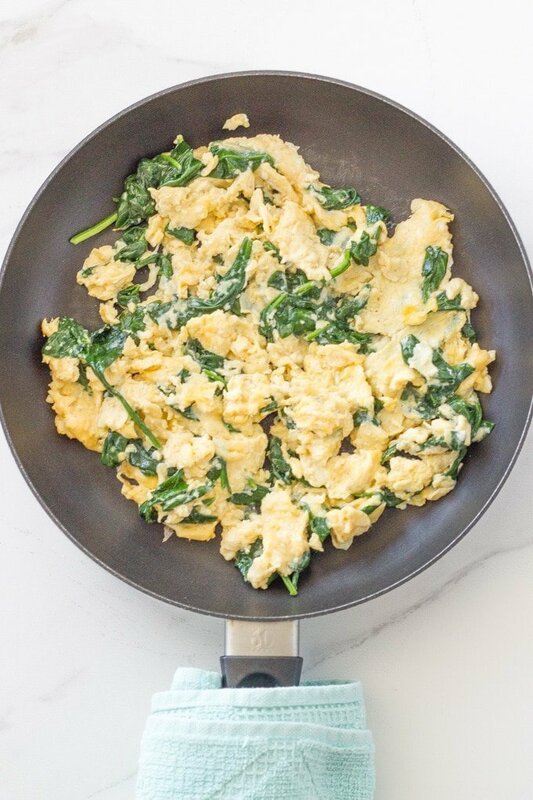 Making these spinach scrambled eggs is really easy. Basically you melt the butter in a fry pan over moderate heat. Then you add the spinach and mix it through the butter until it has wilted, then you add the whisked eggs and seasoning and cook until you get your preferred egg consistency. I highly recommend that you keep moving the eggs while they are cooking. I like to use a spatula or wooden spoon and keep moving the eggs to the center. So there you go!! 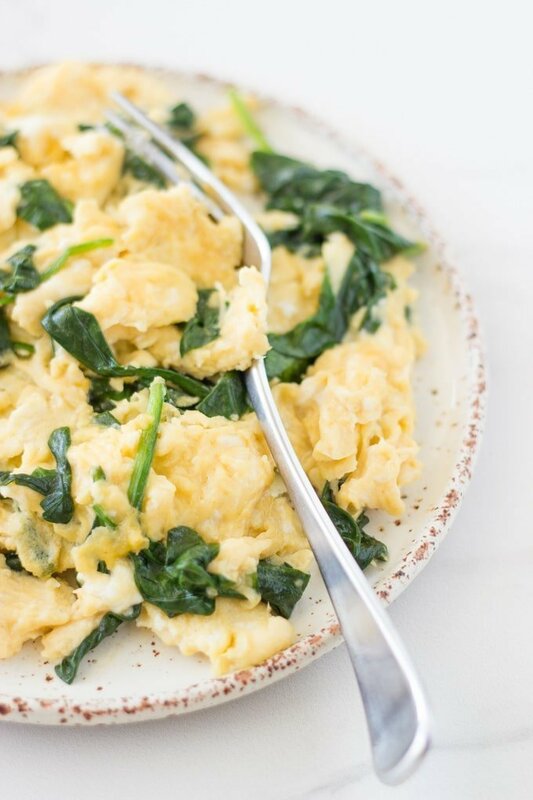 That is super easy spinach scrambled eggs recipe! I would love to know what you think of it. So please leave a review below! Melt butter in a medium sized non-stick frypan over moderate heat. Add the spinach and mix through the butter until the spinach has wilted. Add the eggs and seasoning. Using a spatula or wooden spoon, move the eggs to the center of the pan. Keep doing that every 30 seconds or so until the eggs are cooked. It should only take 2-3 minutes for them to cook to a beautiful soft consistency. Remove from the heat and serve either on their own or with other breakfast elements like avocado, salmon or bacon.